During the Cold War, Western music had subversive implications for Eastern Europe and the Soviet Union. In this seminar, we will examine what happened when the punk got through the Iron Curtain. Specifically, we will look at Poland, Hungary, Czechoslovakia, and the USSR. 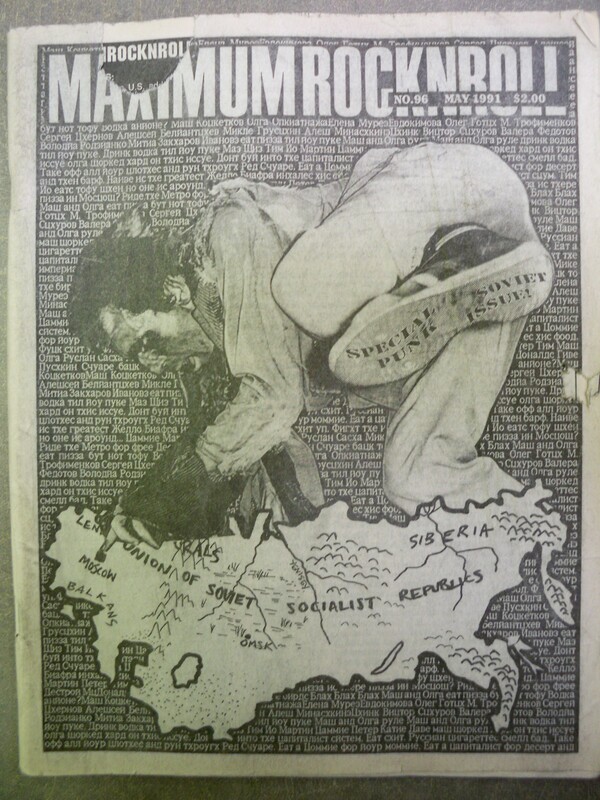 We will also look at what happened when the Eastern Bloc variants of punk traveled to the West. Just like last week, we’ll start with a short lecture, and then transition into our intellectual picnic format – so bring food to share if you can! 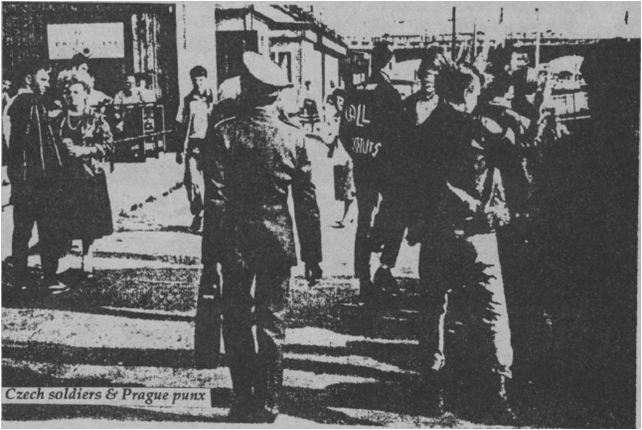 In 1970, a young American composer named Martin Bresnick traveled to Prague to present a short film. He had written its score. 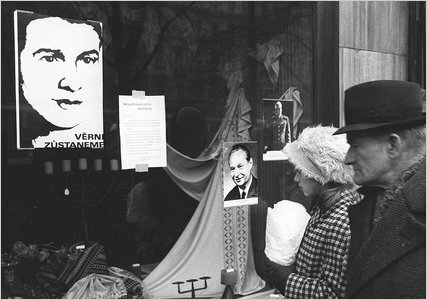 As a member of the Students for a Democratic Society and a musician, Bresnick was no stranger to the relationship between politics and music, especially directed towards protest of the Vietnam War. Behind the Iron Curtain, he experienced this relationship again – in a city that had shorty before suffered a harsh reprisal for attempts at liberalization. The same was the case during the Cold War. Despite the USSR’s official rejection of western culture, all things American were slipping through the Iron Curtain. 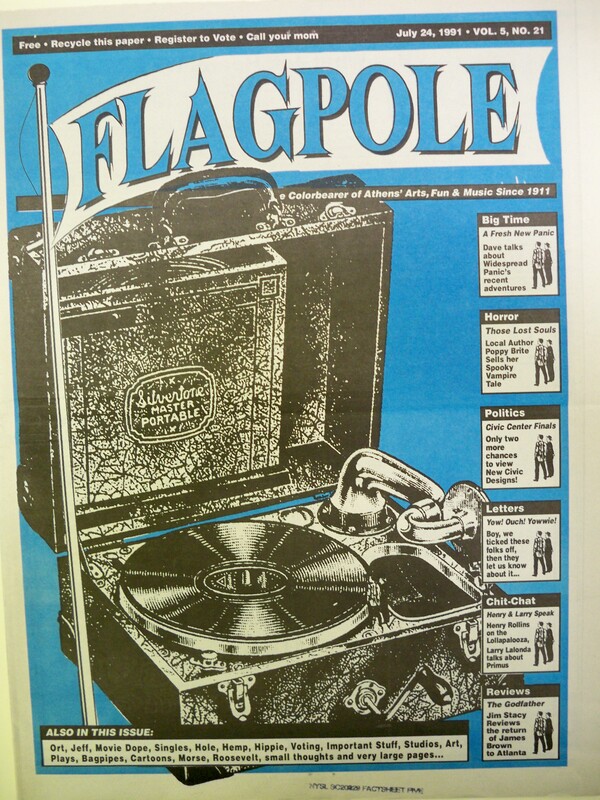 Music was no stranger to this transmission into Eastern Europe and the USSR. Musicians picked up from acts like Iggy Pop and the Stooges, the Velvet Underground, and of course later punk bands like the Talking Heads. I know this to be true because I read about it in a fanzine called Flagpole Magazine, from Athens, Georgia. In 1991, a band called BIX came across the Atlantic to perform across the United States. They were from Lithuania, a country that had just declared independence from the Soviet Union. 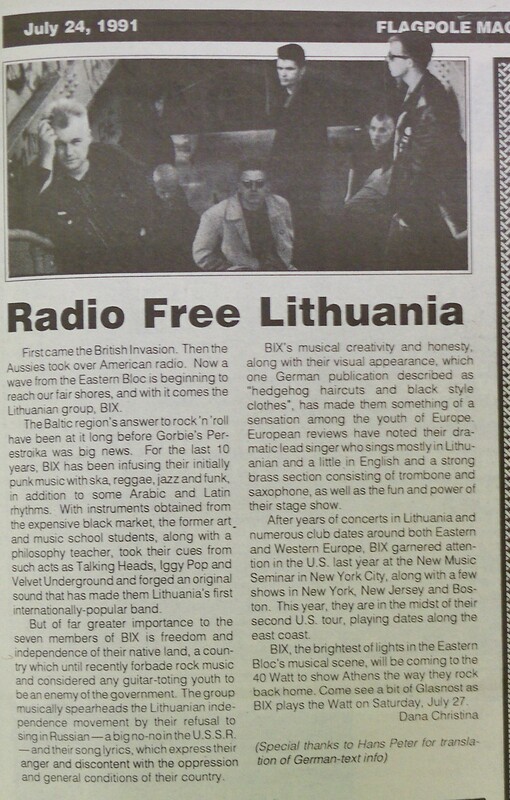 Already veterans of playing throughout Europe, and at a short 1990 US tour including a stop at the New Music Seminar in NYC, BIX was back for their second tour of America.